As an organisation we recognize we are responsible for the communities in which we work and operate in. 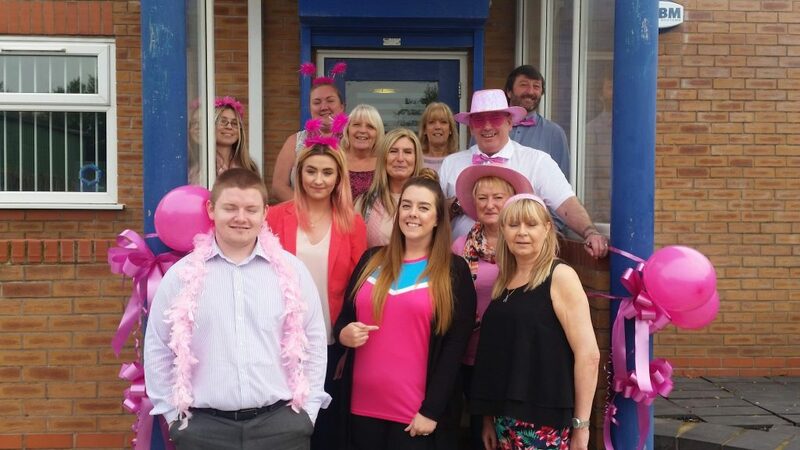 Our community activities include fundraising for local charities, attending and supporting community events, offering professional advice to community schemes and supporting local employment. Sustainability is at the heart of our business, ensuring we provide our clients with an energy efficient, sustainable building. Through the suppliers and products we use, we endeavour to reduce material and energy waste, recycle materials where possible and use materials that last longer and are effective during the increased sustainability life span. We want to make a positive contribution to our local communities where we operate, through purchasing our products locally and employing local people. 80% of our staff live within a 10 mile radius of local depots. Please click here for our Sustainability Policy. A&M Energy Group is committed to minimising its environmental impact and to promoting good practice within our industry. Reducing our impact on climate change by saving energy, reducing waste, and streamlining processes, are key to our continuous improvement. Our primary environmental issues are reducing our carbon impact by using methods and materials which we believe have the least impact in terms of contributing to the effects of climate change and minimising/diverting waste from landfill. The management of this is based on the principal of achieving and reporting continuous improvements in our environmental performance. Please click here for our Environmental Statement. A&M is a business with a long-standing professional reputation for providing a quality service to all its customers. We are committed to establishing an environment where quality exceeds our customers’ expectations. We are proud of the fact that we are a ISO 9001-2015 Quality Standard Company and are always looking for continuous improvement. Please click the link to find our Quality Policy Statement. Health and Safety across the company is managed by our Group SHE Operations manager although all staff are required to take responsibility for the adoption of our H&S Policy. Staff meetings and branch managers meetings are held on a monthly basis to discuss and manage Health and Safety across the company and a full programme of tool box talks are scheduled in to provide staff with any relevant up to date information. We also have fully trained technical monitoring officers at each branch who monitor & enforce compliance with H&S matters on site. Please click here for our SHE Policy Statement. We are committed to providing staff training opportunities for them to realise and fulfill their potential. As part of each employees development, training areas are identified to up skill the individual and also meet the needs of the business. 80% if staff employed have completed an NVQ level 2 in loft and cavity wall insulation. Other NVQ’s completed by staff include NVQ level 2 in External Wall Insulation, NVQ Level 2 in Customer Service, NVQ 3 in Business and Administration, NVQ Level 3 in Management and NVQ Level 2 in Accountancy. We are committed of offering apprenticeships through the shared apprenticeship scheme whenever possible. We have also committed to retraining our Branch Surveyors to become Domestic Energy Assessors (DEA’s) and Green Deal Assessors (GDA’s) who are now competent to carry out EPC surveys and Green Deal Assessments on properties. Please click here for our Training Policy.